This book is available at over 200 libraries worldwide. Find one near you. Ellen Notbohm’s clever and compassionate understanding of how we think and learn makes her new book the best ally your student with autism could wish for. A revolutionary read . . . a comprehensive, sensitive look at what life is like with autism. An integral resource when drawing up viable lesson plans and properly meeting specific emotional needs. 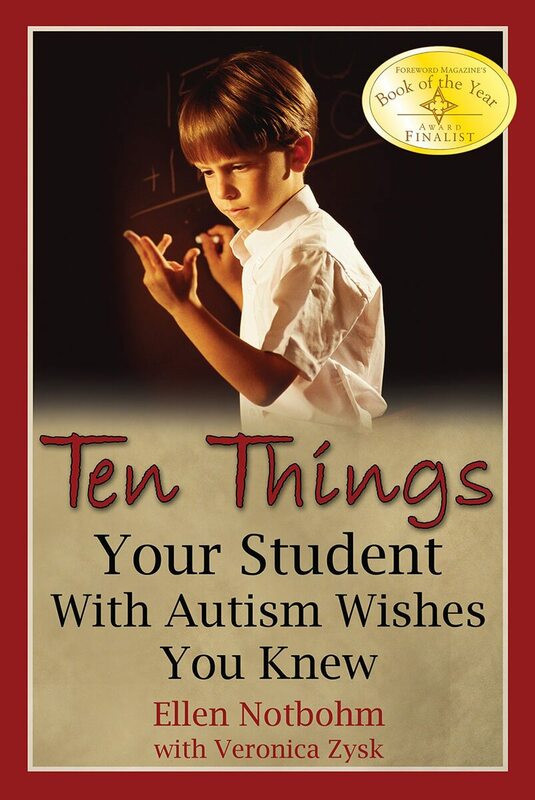 Read this book to gain essential insight into the special challenges of your students on the spectrum. The understanding this will change the way you listen and communicate with them.